(Facebook/One Punch Man)Rumor has it that Saitama will battle the mysterious Suiryu from the manga version of the anime series in "One Punch Man" season 2. Contrary to earlier reports that the upcoming season 2 of "One Punch Man" will open with a battle between Saitama/One Punch Man and the regenerated Lord Boros, the latest reports claim that the highly anticipated anime will kick off its season 2 with a clash between Saitama and a certain Suiryu. According to the latest reports, Suiryu is a mysterious fighter who has the powers and strength comparable to that of Blast, Saitama's strongest nemesis in the webcomic version of the anime series. While Suiryu is clouded with mystery, there are those who believe that he may actually be Blast himself. However, there are also those who doubt whether Suiryu and Blast are one and the same. Some "One Punch Man" fans opine that the mysterious Suiryu enjoys the attention that he's getting, while Blast is the exact opposite. It is also pointed out that, if Suiryu is Blast, and Suiryu takes joy in fighting strong opponents, then, why hasn't he appeared as Blast in the past when powerful monsters appeared? As the webcomic has not given adequate information on the whereabouts of Blast, it remains unknown if Suiryu in the manga is Blast, indeed. Furthermore, it remains to be seen if the said character will be one of Saitama's opponents in the upcoming season 2 of "One Punch Man." Meanwhile, sources also claim that one of the forces that Saitama will face in the upcoming season 2 of "One Punch Man" season 2 is Amai Mask. Allegedly, it will be the villain who will discover Saitama's secret and will use it against him. 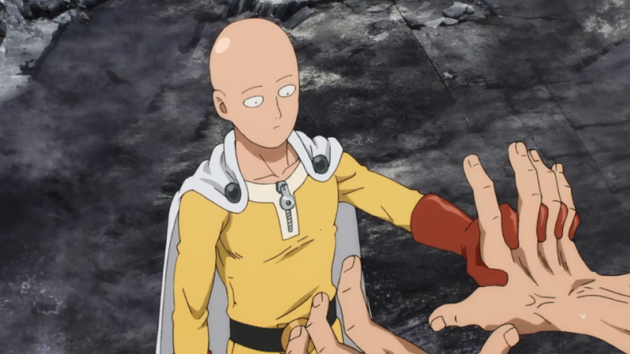 This is said to lead Saitama to his first-ever defeat on the series. Meanwhile, Madhouse Studio has not released any official statement yet as to when "One Punch Man" season 2 will arrive. However, according to the latest reports, it is likely for the highly anticipated season 2 of the anime series to arrive mid of 2017. However, without any official announcement from the studio, this will remain a speculation for the time being.